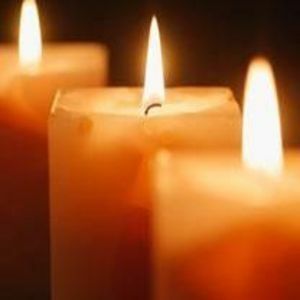 Katherine Gardner Pope, 87, of Wilson passed away Sunday. Funeral services will be conducted 2:00 p.m. Thursday at Thomas-Yelverton Funeral Home. Interment will follow in Evergreen Memorial Park. The Rev. Chris Harris will officiate. The family will receive friends Wednesday evening, from 6:00 – 8:00 p.m., at Thomas-Yelverton Funeral Home, 2704 Nash St. N, Wilson, NC. Katherine was born January 29, 1930, in Greene County, NC, the daughter of the late Johnnie and Lillian Poythress Baker. She was married to her first husband, the late W. Martin Gardner, for over 60 years. She was a long-time member of Oak Grove FWB Church. Katherine dearly loved and was dearly loved by her family and friends. She will truly be missed. Surviving are her husband, George Rudolph Pope; three daughters, Jennette Reason (Al) of Wilson, Pam Fitch (Rodney) of Shelby and Sandra Russ (Donnie) of Red Oak; four sons, Martin Gardner of Cedarville, OH, Bobby Gardner (Lynn) of Elm City, Danny Gardner (Victoria) of Franklin, TN and Wilbur Gardner (Betty) of Rocky Mount; fourteen grandchildren; 31 great-grandchildren; four great-great-grandchildren; and two sisters, Shirley Winstead of Wendell and Edna Summerlin of Engelhard. She was preceded in death by her husband, W. Martin Gardner; parents, Johnnie and Lillian Poythress Baker; a brother, Johnnie Ray Baker; and a daughter-in-law, Cindy Gardner, wife of Martin Gardner. Funeral arrangements under the direction of Thomas-Yelverton Funeral Home, Wilson, NC. Online condolences may be sent to www.thomasyelverton.com.